Coach has launched Coach Love Eau Blush, a new fragrance for women. 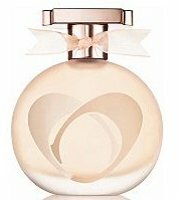 Love Eau Blush is a lighter variation on last year's Coach Love. Coach Love Eau Blush is the essence of modern elegance and romantic beauty. Bright, energetic notes of Bergamot and Cassis bring sparkle to the youthful sensation of Lush Dewy Greens and fresh Freesia for a charming top. Coach Love Eau Blush can be found now at Ulta, in 30, 50 or 100 ml Eau de Toilette.